A well executed content strategy can be the explosive fuel to organic growth in traffic. For Crystallize we have achieved 3 000% increase in organic visits in 10 months. The growth marketing funnel consists of three main parts: organic, social and paid traffic. We focus on organic as the main vehicle, and social and paid traffic to create authority as well as awareness. The juicy mix of content strategy with content marketing, frontend performance and continuous KPI monitoring for improvement delivers results. Crystallize is a PIM service ideal for headless commerce. At Snowball we are delivering product strategy, product design, software engineering and growth marketing for Crystallize. 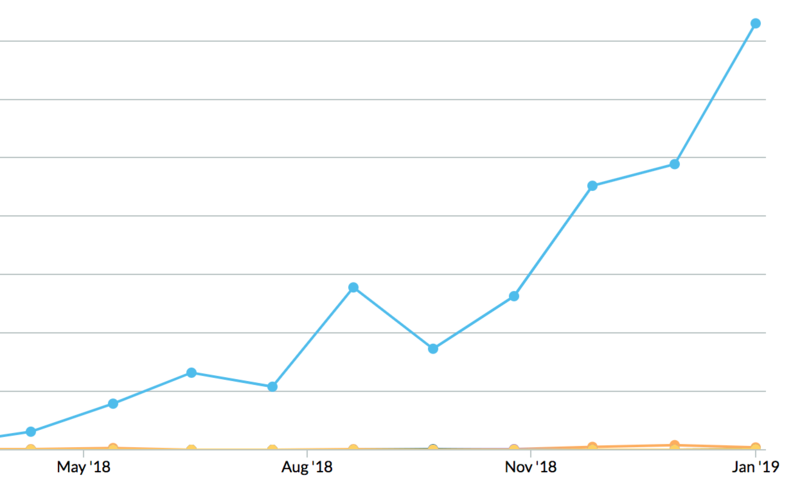 The content strategy has resulted in 3 000% increase in organic visits in 10 months so far, and the trend is accelerating. The traffic is global and counting 190 countries in the last 3 months alone. The graph below is from the Moz dashboard for Crystallize.com. The key elements of the content strategy is to know who your target persona is and what you are delivering as a message. You can define many personas but to focus we suggest to start with one and keep one consistent message per channel. Simplify. Crystallize is built mainly for developers with a GraphQL based PIM for building tailor-made ecommerce solutions. Our focus persona is therefore a frontend developer looking to build fast ecommerce experiences typically working in a digital agency. So, we know who we are targeting. Next is the messaging. We try to keep it simple and focus around what matters for our target customers. This includes messaging around super structured product information, blazing fast GraphQL API, frontend performance, subscription commerce and of course SEO for ecommerce. 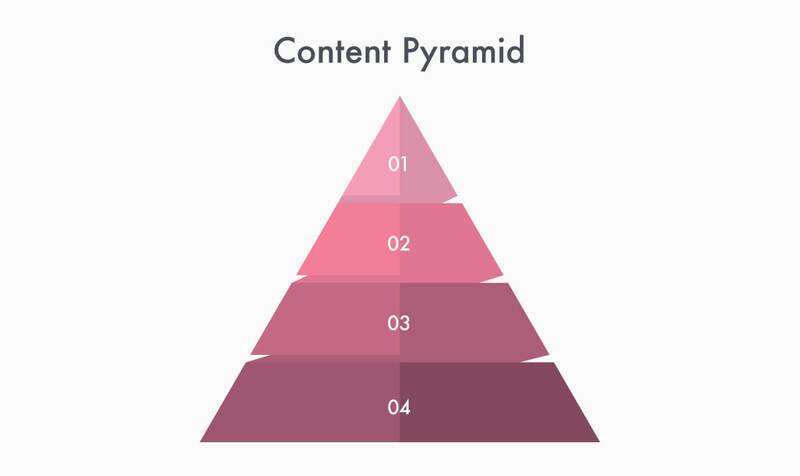 We are organizing content hierarchically in a pyramid where the content with biggest impact (and most effort to create) is a the top and with blogs in the middle and the social media drips are at the bottom. Technically we are building out a keyword hierarchy of the most relevant topics we want to cover. We are typically organizing the keywords in a topic map to make it easier to visualize. A content strategy only has value when executed. We have established an editorial calendar with several updates weekly for continuity in content marketing. Trello is used to manage our editorial calendar. This makes it easy to see who is in charge and what the status of each post is. The main vehicle of our content pyramid are the blogs where we target useful insight for developers. For social channels and for a reason to come back we have also introduced weekly developer comics. We find that both Twitter and LinkedIn are consistently delivering relevant traffic and helps in building authority and keeps visibility up for followers. The developer comics has a fixed spot in the editorial calendar every friday. Once you get traffic to land your website you need to have quality content to avoid a high bounce rate. For Crystallize we have achieved a 35% bounce rate and 7.2 pages per visit in average. You need to create relevant content so your visitors are staying and looking around. The content include some high quality React components that are delivered as MIT licensed npm packages also on GitHub. These are fully reusable components for delivering tailor-made ecommerce solutions with React. Totally Open Source and free to use. Remember: your goal is ultimately conversion by having the visitor sign up, contact or follow on social media. So, keep the content relevant. There is no way around it. For content marketing to succeed you need to get SEO right. For Crystallize we are now ranking #1 in Google for quite some relevant terms and are getting more feature snippets and image packs on a regular basis. To get SEO working for you you need to tick absolutely all the boxes from frontend performance to canonical links and meta descriptions. Check out the ecommerce SEO checklist for tips on better SERP ranking. For the execution of a successful content strategy you really need to understand all elements involved in reaching #1 SERP ranking. 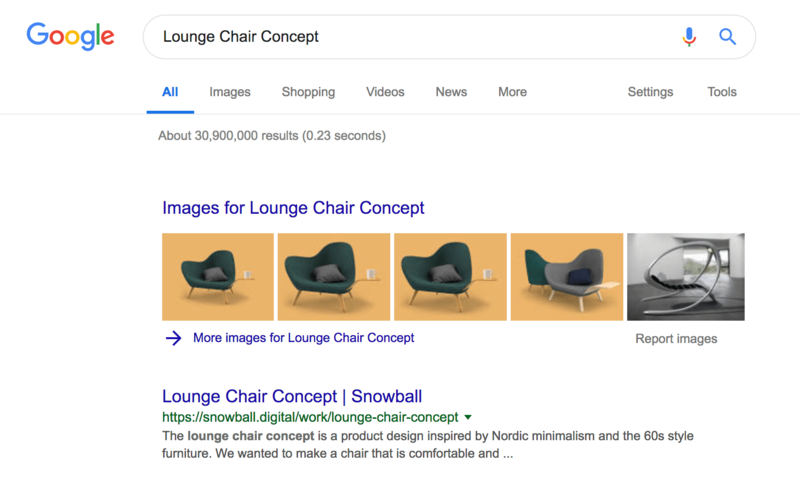 Like the lounge chair concept we designed at Snowball with #1 placement and four images in the image pack. I really want that chair. Make one mistake related to SEO like forgetting https and you loose. Remember that https is faster than http anyways. Curious to understand more about how we do growth marketing? Just reach out to chat.